Best Waterproof Camera, Music Player and More! If you spend a lot of time in the water, whether professionally or leisurely, you probably know there are endless waterproof accessories to choose from! But for this blog we’re going to focus on the best waterproof camera and music player out there! After endless hours of research most consumers have agreed that the Panasonic Lumix TS5 is the best waterproof camera available. No competitor can match it’s excellent photo and video quality under a variety of conditions both above and below water. It was enough to impress the National Geographic dive photographer we enlisted to help test. It’s waterproof up to 43 feet and takes great quality photos. 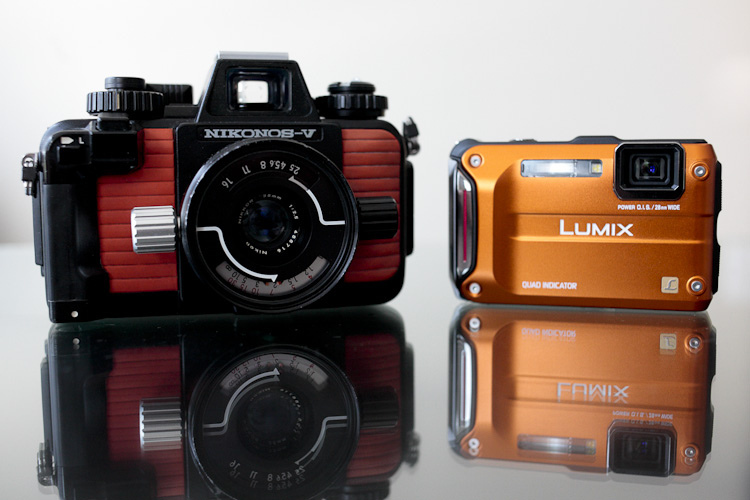 Other cameras are more waterproof, but their image quality isn’t as consistent in general, and there’s an external housing for the Panasonic if you need to take the thing scuba diving. But we’ll get into all that later. The quality of image a camera provides is one of the most important factors. The Panasonic Lumix TS5 exemplifies this, offering the highest quality photos. This camera is perfect for hanging out at the pool, beach or lake. You can snap some photos in and out of the water and not have to worry about getting your camera wet or ruined. This allows you to relax, have fun, take pictures, and create memories that will last a lifetime. Much like the waterproof camera, when choosing a waterproof music player you encounter endless options to pick from, and each brand offers different specifications. 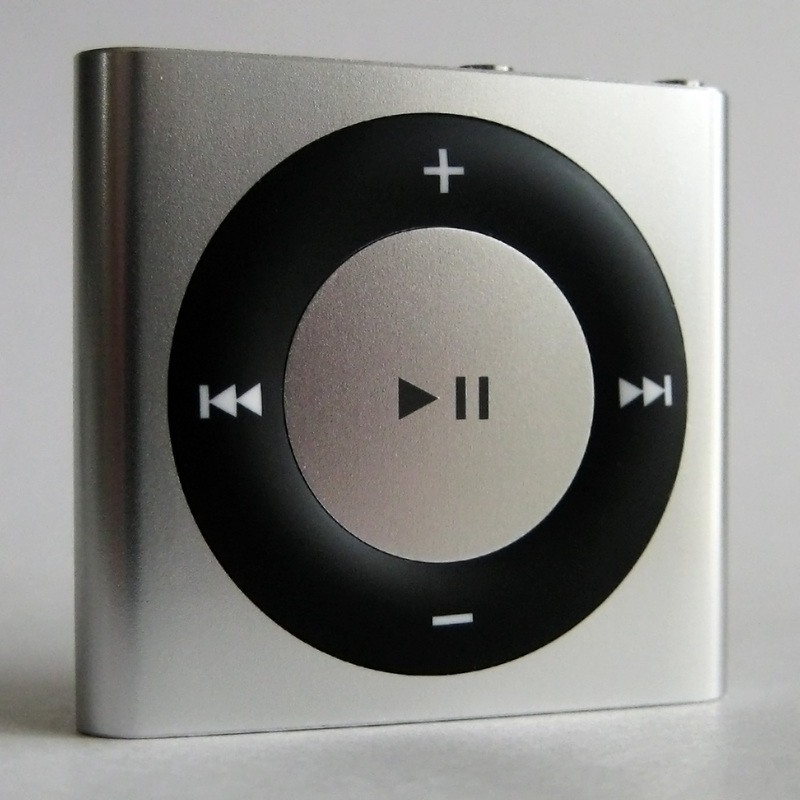 A fan favorite is the waterproof iPod Shuffle from Underwater Audio. They offer the Shuffle in 7 different colors, which is a larger selection than other brands offer. Their iPod Shuffle has a great range as well. The waterproof iPod can withstand depths up to 200 ft. (approx. 70 m). Theoretically, you could take it scuba diving. A consumer did his own test on the iPod in the pool and was very pleased with the outcome. The iPod Shuffle spent about an hour in the water and still looked and functioned as if it had just come out of the package. The waterproof iPod Shuffle from Underwater Audio has passed the tests of many consumers. All buyers were happily surprised with how great it works and the high quality of the iPod itself. While you’re looking into waterproof cameras and iPods, you may want to look into some other waterproof accessories like a waterproof LifeProof case for your iPhone or waterproof headphones. If you had to choose only one between purchasing a waterproof iPod or camera which would it be? What are some other waterproof items you have bought that were not mentioned in the article?